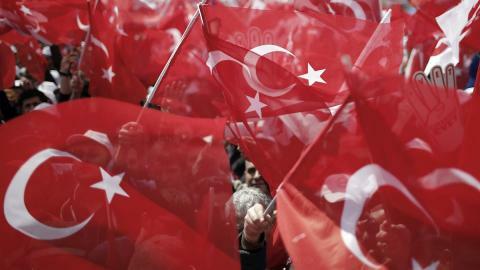 How did Turkey's constitutional reforms come about? 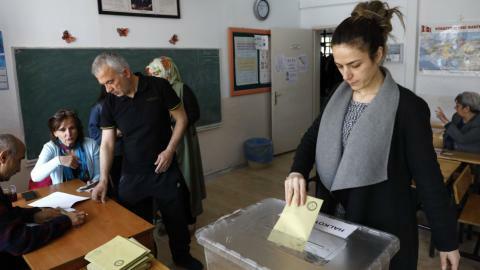 On April 16, Turkey is set to vote on constitutional changes that will have far-reaching implications on the nation's future. 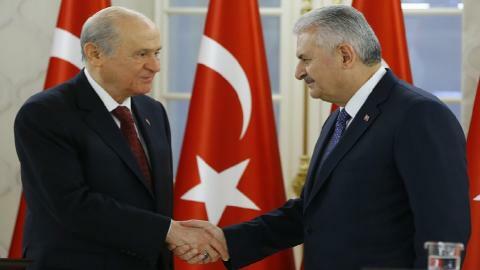 The changes were put forward by the governing Justice and Development Party (AK Party) and have been supported by Nationalist Movement Party (MHP). 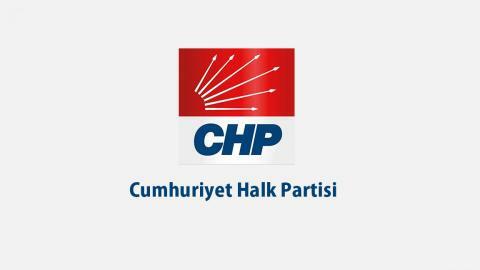 The Republican People's Party (CHP) and People's Democratic Party (HDP) have been campaigning against the constitutional changes. The judicial power shall be exercised by independent courts on behalf of the Turkish Nation. The judicial power shall be exercised by independent and impartial courts on behalf of the Turkish Nation. The Grand National Assembly of Turkey shall be composed of 550 deputies elected by universal suffrage. The Grand National Assembly of Turkey shall be composed of 600 deputies elected by universal suffrage. Every Turk over the age of 25 is eligible to be a deputy. Persons who have not performed compulsory military service shall not be elected as a deputy. Every Turk over the age of 18 is eligible to be a deputy. Persons (at the time of election) having affiliations with military service shall not be elected as a deputy. 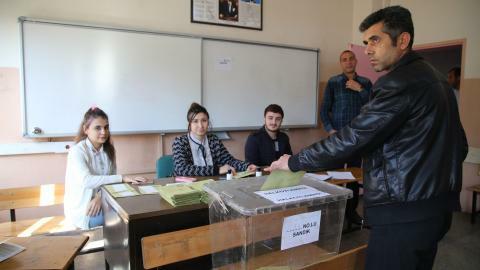 Elections for the Grand National Assembly of Turkey shall be held every four years. Elections for the Grand National Assembly of Turkey and elections for the presidency shall be held every five years and on the same day. The duties and powers of the Grand National Assembly of Turkey are to enact, amend, and repeal laws; to scrutinise the Council of Ministers and the ministers; to authorise the Council of Ministers; to issue decrees having the force of law on certain matters; to debate and adopt the budget bills and final accounts bills; to decide to issue currency and declare war; to approve the ratification of international treaties. The duties and powers of the Grand National Assembly of Turkey are to enact, amend, and repeal laws; to debate and adopt the proposed budget bills and final accounts bills; to decide to issue currency and declare war; to approve the ratification of international treaties. The Grand National Assembly of Turkey shall exercise its supervisory power by means of a question, parliamentary inquiry, general debate, censure and parliamentary investigations. The Grand National Assembly of Turkey shall exercise its supervisory power by means of parliamentary inquiry, general debate, parliamentary investigations and written questions. 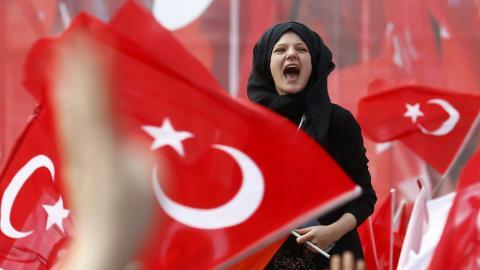 The President of the Republic shall be elected by the public from among the members of the Grand National Assembly of Turkey who are over forty years of age and has completed higher education, or from among Turkish citizens who fulfil these requirements and are eligible to be deputies. If the president-elect is a member of a party, his/her relationship with his party shall be severed and his/her membership of the Grand National Assembly of Turkey shall cease. The President of the Republic shall be elected directly by the public from among Turkish citizens who are over forty years of age and have completed higher education and who are eligible to be deputies. The President-elect's membership of the Grand National Assembly of Turkey shall cease. The President of the Republic is the head of the State. The executive power shall be exercised by the president. He/she appoints vice presidents and ministers and dismisses them. He/she appoints senior public executives, dismisses them, and regulates the procedures and principles of their appointment by presidential decree. He/she designates the national security policy and takes the necessary measures. The president can issue decrees regarding its executive power. The basic rights, personal rights and duties, and political rights and duties that are in the constitution cannot be regulated by presidential decree. If there are conflicting provisions in presidential decrees and laws; laws prevail. If the Grand National Assembly issues a law on the same topic, the presidential decree becomes obsolete. by the President of the Republic on his/her own initiative. The President of the Republic may be impeached for high treason on the proposal of at least one-third of the total number of members of the Grand National Assembly of Turkey, and by the decision of at least three-fourths of the total number of members. A motion for initiating an investigation of the president on allegations of a crime must be given with absolute majority of the members of the Grand National Assembly. In case an investigation is opened, the investigation is carried out by a 15-member committee made up of the political parties in the parliament in the proportion of their power. The Grand National Assembly can take the decision to send the president to the Supreme Court with two-thirds of its members' secret votes. A president under an investigation cannot take the decision to take the country to elections. A president's term is ended if he/she is sentenced to a crime which is among the conditions of presidential eligibility. In the event of a temporary absence of the President of the Republic on account of illness, travel abroad or similar circumstances, until the President of the Republic resumes his/her functions, and in the event that the presidency falls vacant as a result of death or resignation or for any other reason, until the election of a new President of the Republic, the Speaker of the Grand National Assembly of Turkey shall serve as Acting President of the Republic and exercise the powers of the President of the Republic. After his/her election, the president can appoint one or more vice-presidents. In a case of the vacancy of the presidential post for any reason, the presidential election is held in forty-five days. In the event of a temporary absence of the President of the Republic on account of illness, travel abroad or similar circumstances the vice president shall serve as Acting President of the Republic and exercise powers of the President of the Republic. Vice presidents and ministers are appointed by the president from among the ones who are eligible to be deputies. Members of the Grand National Assembly cease to be members in case they are appointed as vice presidents or ministers. Vice presidents and ministers are responsible to the president. In cases where the Council of Ministers fails to receive a vote of confidence under Article 110 or falls by a vote of no-confidence under Article 99 or 111, if a new Council of Ministers cannot be formed within forty-five days or fails to receive a vote of confidence, the President of the Republic, in consultation with the Speaker of the Grand National Assembly of Turkey, may decide to call new the elections. The elections can be called either with a three-fifth majority of the Grand National Assembly or by the president. The elections are held together. Both the terms of the president and Grand National Assembly members terms are five years. In the event of natural disaster, dangerous epidemic diseases or a serious economic crisis, the Council of Ministers meeting chaired by the President of the Republic, may declare a state of emergency in one or more regions or throughout the country for a period not exceeding six months. In cases of war or a situation necessitating war, mobilisation, insurrection against the country or the Republic, threats to the indivisibility of the country and the nation, widespread violence against the constitutional order or basic rights and freedoms, natural disaster, dangerous epidemic diseases or a serious economic crisis; the president can declare a state of emergency in one or more regions or throughout the country for a period not exceeding six months. 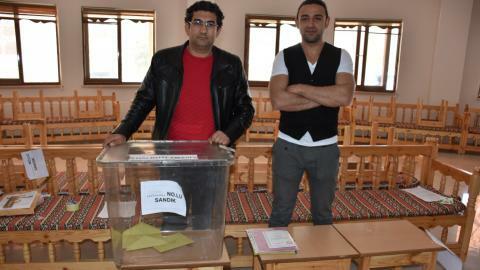 It is to be published in the Official Newspaper and presented to the Parliament for the vote. The formation, duties and powers, functioning and trial procedures of the courts shall be regulated by law. Military Courts cannot be established except to deal with military disciplinary. Court martials can only be established in cases of military personnel committing crimes in situations of war. The military members are removed from the Constitutional Court, and the number of its members decreases to 15 from 17. The names of the Military Court of Cassation and the Military High Administrative Court are removed from the article. The High Council of Judges and Prosecutors shall be composed of twenty-two regular and twelve substitute members; and shall comprise three chambers. The members are elected for four years. Four regular members by the president, three regular three substitute members by the court of cessation, one regular one substitute member by Turkish Academy of Justice, seven regular four substitute members by judges and prosecutors. The Council of Judges and Prosecutors shall be composed of thirteen regular members and shall comprise two chambers. The Council's four members are appointed from among judges and prosecutors by the president. Seven members are appointed by the Grand National Assembly. The minister of justice is the head of the council and the undersecretary is its natural member. The Council of Ministers presents the budget to the Grand National Assembly. The president presents the budget to the Grand National Assembly. With this change, some statements and phrases are either removed or modified to make it more compatible with the new version. Elections are to be held on 3/11/2019. Until that time, the existing president and deputies hold office. If the Grand National Assembly decides an election is to be held, then the two elections are held together. The Council of Judges and Prosecutors members are elected within 30 days and they assume office within forty days from this law comes into force. From this law comes into force onwards, Military Court of Appeals, Military High Administrative Court and Court Martials are repealed.